Atlanta lawn fairy rings are a common occurrence, especially during seasons of rainy weather. Fairy rings are mushrooms that develop in a ring or arc in the lawn that are caused by several different soil inhabiting fungi. There are only a few fungi associated with the development of fairy rings that produce toxic substances that accumulate in the soil and kill the turf grass. Atlanta lawn fairy rings cause problematic issues to the turf such as mushroom mycelia buildup in the soil. When this happens the soil becomes unable to absorb moisture causing the turf to become distressed and decline due to lack of water. Fairy rings appear as rings or arcs of green stimulated turf that range anywhere between 2 and 15 feet in diameter. Atlanta lawn fairy rings may be accompanied by adjacent areas of dead or declining grass. They are very persistent and increase in diameter year after year and cause the most intense damage when the turf is stressed by warm weather, drought, nutrient deficiencies particularly nitrogen. 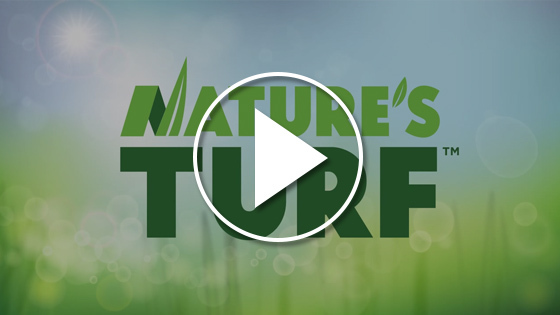 Our technicians at Nature’s Turf, Inc. are constantly monitoring our client’s lawns for this disease as part of our Atlanta Lawn Care Program. Remove stumps and other wood material from the root before installing turf grass. Fairy rings develop where wood is left in the root zone. Irrigate regularly to keep soil moist but not drenched. We serve all of the major Metro Atlanta counties. Find out if we service your area now! Get your free instant lawn care quote today! One of our representatives will be with you shortly. © 2014 Copyright Madwire Media | All rights reserved | Powered by Marketing 360®.